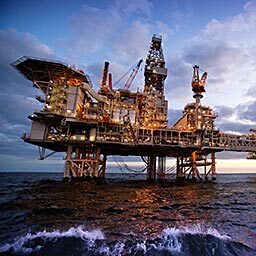 Drilling for oil and gas is booming outside North America, with Middle East and African exploration and production leading the way, according to a survey from oilfield services company Baker Hughes. The survey is being interpreted as evidence that despite cutbacks in capital intensive activities by the oil majors and a diversion of investments to unconventional energy sources like shale gas, activity is holding up in mature oil production areas using conventional technologies. The Baker Hughes international rig count shows a rise in active rigs, outside North America, in January to 1,325 compared to 1,279 a year ago. This was a fall of ten however from the December figure. The worldwide rig count, which includes North America, was 3,598, a rise of 120 from the December 2013 count and up 59 from January 2013. The rig count has been carried out by Baker Hughes for around 60 years and these figures are the highest for 30 years. They show a 20% rise in the number of active rigs since 2008 and a near doubling in the past 14 years. The number of rigs active in the Middle East has trebled since 1999, and Africa shows growth of some 400% in the same period. The Iraq oil and gas drilling market has recovered from United Nations sanctions and averaged 90 active rigs a month in the six months to January. Saud Arabia, Kuwait and African countries like Algeria and Angola are also showing strong and consistent growth in rig activity generating many international job opportunities in the oil and gas industry.